Sportsdirect.com launch their biggest ever catalogue this month. At a massive 724 pages and with 2 million copies being produced, there are enough pages to circle the world eight and a half times over! This bumper catalogue boasts over 5,800 products, and features interviews from top athletes including Wayne Rooney, Paula Radcliffe, and John McEnroe. It is packed full of expert advice and tips as well as exciting competitions to win some amazing prizes such as trips to Mount Everest, the French Alps & London 2012 tickets. As well as a comprehensive clothing and footwear guide, the catalogue features specialist sections for many sports including football, rugby, golf, outdoor, bikes, racket sports, fitness and many more, perfect for any sports enthusiast. Vincent Smith, Head of Marketing at Sportsdirect.com said ‘As a key focus of our marketing strategy, it was essential that our latest edition contained true added value in product proposition, editorial content and consumer offers. Our objectives through work carried out with Haymarket network and internal teams have been realized in exceptional fashion ’. Simon Kanter, the publisher Haymarket’s Editorial Director, said ‘From a Haymarket point of view the new catalogue is really ground-breaking and delivers far more than a product brochure. 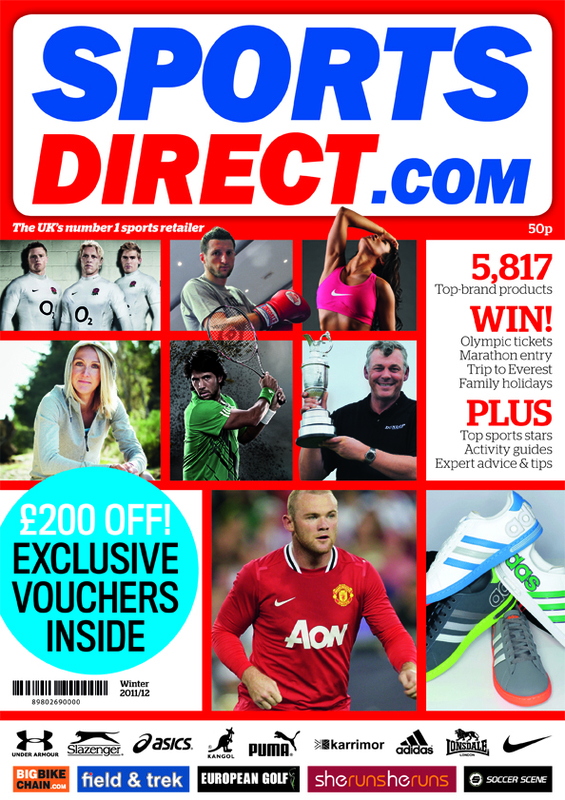 Packed with vouchers and competitions, Sportsdirect.com is giving more than just value for money, it is delivering its customers a genuinely useful guide’. The Sportsdirect.com catalogue will be available in stores and online from 15th September priced at just 50p. This press release was distributed by ResponseSource Press Release Wire on behalf of Arena Quantum in the following categories: Sport, for more information visit https://pressreleasewire.responsesource.com/about.